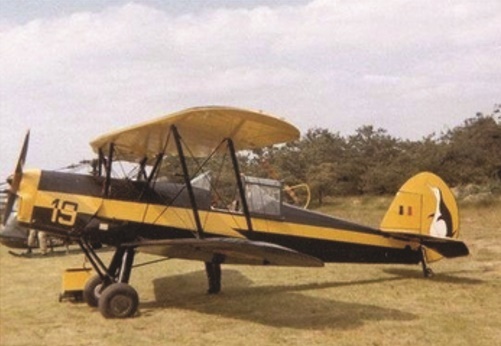 The Stampe & Vertongen SV4 is of Belgian design. The prototype made is first flight on May 17th 1933 in the hands of its designer, Jean “Johnny” Stampe, from Deurne (Antwerp). 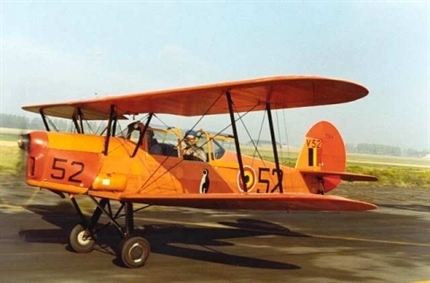 Before WWII, the SV4b will be in service in the Belgian Air Force (Aéronautique Militaire) and a production license awarded to the French company FARMAN on behalves of the French Air Force (Armée de l’Air). After WWII, the Belgian Air Force will use 65 Belgian manufactured SV4 for training purpose. The French Air Force will use 700 SV4 built under license in France and 150 built in Algeria for the same purpose. The last SV-4b in use in the Belgian Air Force was demobbed in 1975. SV4 C//N 1161 made her first flight on January 6th, 1949, in the hands of J. Stampe. 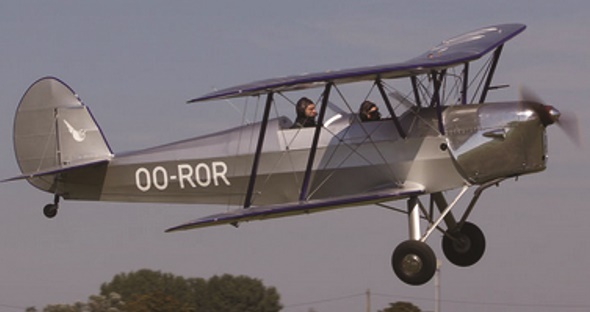 Delivered to the Belgian Air Force on February 10th, it served with the Elementary Training School at Gossoncourt under the serial number V-19. It will be used by the demo-flight "Les manchots” famous for their aerobatic formation display in mirror (one plane up, one inverted). It was written-off in 1970. Restored, in the spirit of the 30’s, to pristine condition by her present custodian.